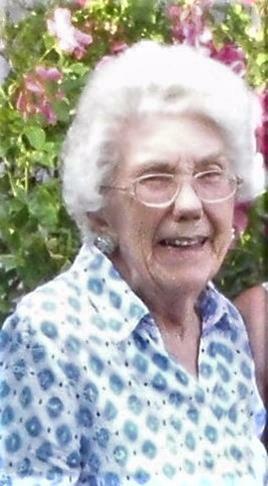 Alma Hall, 98, of Libby, passed away in early April at her home along Flower Creek. She was born to Olav and Clara Gjesdal in Divide County, North Dakota in 1919. As a prairie girl, Alma often rode her horse to school. After finishing her education, she became a teacher in a nearby one-room schoolhouse. Another of Alma’s jobs after high school was working at the soda fountain in Fortuna, North Dakota. A young railroad worker took a shine to her, but his attention was not returned. According to Alma’s late sister-in-law, Helen, wife of Edward, the young fellow was persistent and after the third or fourth box of candy, was rewarded with a date. Alma and Alfred (Dutchie) Lethrud were married in 1941 and after their son Steven was born in Crosby, the family moved to Bonners Ferry, Idaho where their son Robert was born in 1943. Sadly, Dutchie was killed in a logging accident and Alma and her two sons moved to Spokane for a time before returning to eastern Montana where Alma cared for her mother who had broken a hip. 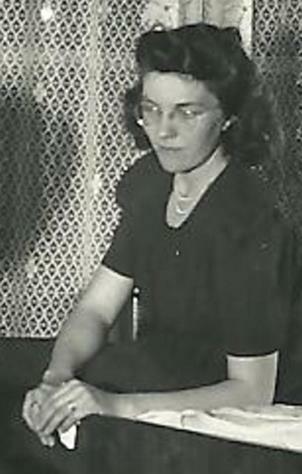 She and the boys moved back to Bonners Ferry where Alma worked at the bank. She was quite pleased to write to her parents to tell them that “the snow in Idaho tends to gather on the fences rather than blow off as it does in West Dakota.” Andrew Christofferson, a friend from Westby, joined them in Bonners Ferry and Alma and Andrew were married in 1948. Their son Brian was born in 1951 and their daughter Julie was born in 1957. Andrew and Alma divorced. In 1961 she married BV (Bill) Hall and the family moved to Ft. Smith, Montana where Yellowtail Dam was being built. The family moved in 1963 to Sweet Home, Oregon where Alma was a teller in a local bank. In 1966, the family moved to Eureka, Montana where Alma worked in the high school library. Alma and her husband started the Eureka Radiator shop and in 1978, they moved to Libby where they owned and operated Canyon Radiators for a number of years. Alma worked part-time at the Venture Inn as the night clerk. Had she won the election for the district 21 seat in the Montana Legislature in 1982, she promised that she would have tried to change the property tax structure to provide an incentive for home-owners and businesses to improve their property. Beyond her love for her friends and family, Alma enjoyed painting, quilting and the joy of life in her lovely home that she helped to design. Alma is survived by her brother Edward in Washington, her son Steven in Libby, her son Robert (Patty) in Libby, her son Brian (Trish) in Panama, her daughter Julie in Oregon, her step-daughter Shirley in Bonners Ferry, 18 grand-children, 37 great-grand-children and many nieces, nephews and extended family. Alma was preceded in death by her parents, her brothers Carl, Harold, Albert, Ottar, Richard and her husbands. The family is grateful for your condolences. In lieu of flowers, please consider a donation to the Kootenai Karacters Scholarship Fund at 95 Highwood Drive, Libby 59923 or a charity of your choice. Arrangements are by Schnackenberg & Nelson Funeral Home in Libby. Online condolences and memories may be shared at www.schnackenbergfh.com. A family memorial will be held at Grandview Cemetery in Bonners Ferry during the summer of 2018.